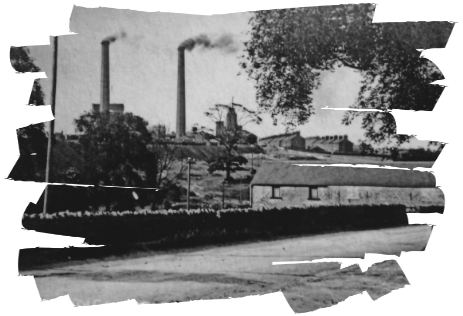 The Sheepbridge Company had in operation four pits as mentioned at Norwood, Dunston, Nesfield and Sheepbridge on the works but it was a need for more coal as there had been an upturn in the demand for local coal and therefore greater profits sought for the company that made them sink Langwith 1876-1880 and Glapwell *Collieries on an 84 year lease at a price of £30 per foot per acre and a minimum reserved rent of £4,000 with a surrender clause after 15 years. Leases that were extended and revised as the operations progressed. 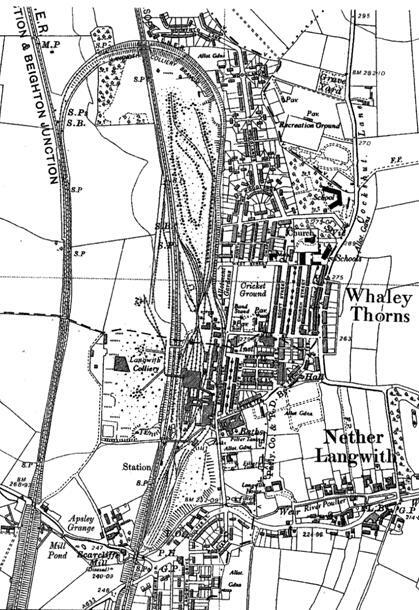 The 1833 Portland lease was for a 40 year term at £15 per foot thickness per acre under copyhold land and £40 per foot per acre under Whaley Moor with a minimum rent of £700 per annum. Allowances were made for faults and inferior coals if met. The pit initially cost £46,000 and was capable of producing 500 tons of coal per week. 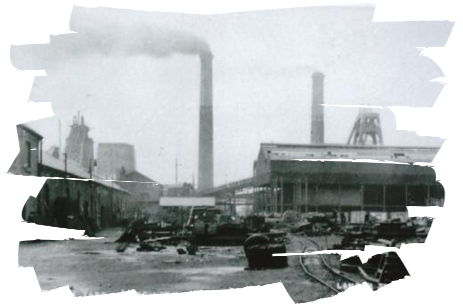 *One item worthy of note is that the productivity at Langwith may have been at the expense of the ponies: a total of 163 at the four collieries in 1883. Norwood 56, Nesfield 25, Dunston 44 and Langwith 38. Ponies having a life of five years at all the pits other than Langwith whose average was only half that, two and a half years. 1896. Manager John Bennett. 1044 men employed underground working the Top Hard seam, with 240 on the surface. 1908. Manager TA Elliott. 1084 men employed underground and 181 on the surface. 1918. Manager T Wharton. 1206 men employed underground and 458 on the surface. 1938. Manager D. Bishop. 1360 men employed underground and 400 on the surface. 1945. Manager A. Badeel. 1156 men employed underground and 462 on the surface. The colliery closed around 1980 and I was privileged to do my underground training there just prior to it closing in 1979. The shafts were kept pumping to prevent Creswell Colliery from flooding. *Men of Iron (A History of the Sheepbridge Company). by Mike Finney pp 26-40.